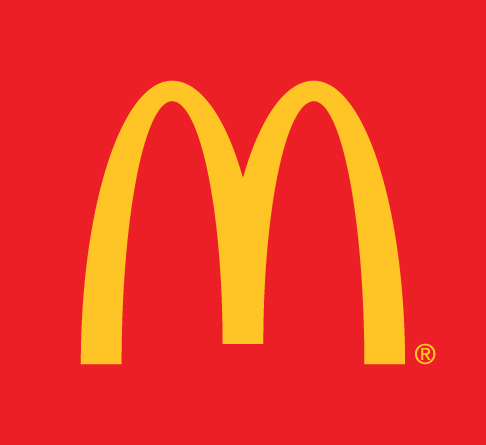 Australian Under 16 and Campbelltown-Camden leg-spinner Tanveer Sangha collected his maiden five-wicket haul in McDonald's NSW Premier Cricket on Saturday. 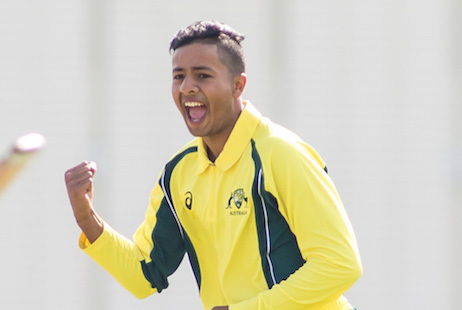 Sixteen-year-old leg-spinner Tanveer Sangha has claimed his maiden five-wicket haul in McDonald’s NSW Premier Cricket on the first Saturday of the two-day round six matches. Sangha collected 5-79 from 25 overs for Campbelltown-Camden against Gordon in just his fourth First Grade match. NSW Blues’ left-arm orthodox spinner Steve O’Keefe also returned 4-42 for Manly-Warringah against Fairfield-Liverpool in his second match of the season for the club. Sangha represented the Australian Under 16 team earlier this year against Pakistan in five One-Day Internationals and one T20 International held at Junction Oval in Melbourne during April. The leg-spinning allrounder claimed eight wickets at an average of 18.25 across the six matches against Pakistan. Campbelltown-Camden bowled out Gordon for 279 in the first innings at Raby Oval No. 1 and, in reply, the hosts are 2/25. Opening batsman Cameron Eccles (102) top-scored for Gordon and shared a 105-run partnership with captain Steve Colley (54). O’Keefe was one of two Manly-Warringah bowlers to claim four wickets against Fairfield-Liverpool. NSW Metro Under 19 allrounder Joel Foster also collected 4-29 as his club dismissed Fairfield-Liverpool for 185 on the first Saturday. Manly-Warringah are 1/9 in response. Middle-order batsman Jeremy Cashman (67) top-scored for Fairfield-Liverpool. Blues rookie gloveman and, Eastern Suburbs wicketkeeper, Baxter Holt claimed an incredible six dismissals behind the stumps against Penrith, including five catches and one stumping. Penrith claimed three late wickets against Eastern Suburbs to be in a strong position at Waverley Oval. Eastern Suburbs lost 3/14 in the final 10 overs of the day’s play, after it dismissed Penrith for 295. Both Brent Williams (74) and Ryan Hackney (68) passed fifty for the visitors. Hawkesbury batsman Dale McKay made the highest score on Saturday. He posted 147 from 177 balls in a big total of 6/377 against Randwick Petersham. It was the first time since the 2013/14 season that McKay had reached the century milestone. In the intervening period, the No. 3 had made 23 half-centuries. The innings was his highest score in First Grade and fourth at that level. It included 21 boundaries and two sixes. The knock also took his season tally to 397 runs at 66.2. During the 2017/18 campaign, McKay reached 4,000 First Grade runs. McKay shared a 115-run partnership with Kerrod Gordon (60). Josh Clarke also made 76 from 115 deliveries. International super star batsman David Warner (2-48) showed his ability with the ball. He claimed best figures for Randwick Petersham. Top-order batsman Damien Mortimer was also impressive for ladder leaders Sydney University against student rivals UNSW. He scored 143 from 236 balls. It was his sixth First Grade century. In partnership with Ben Trevor-Jones (87), Mortimer posted the highest second wicket partnership so far this season. They added 224 in a total of 3/348 declared for Sydney University. In reply, UNSW are 0/21 after Harry Brook (15 not out) and Joe Byrnes (5 not out) survived five overs before stumps. Sydney University lead competition on quotient from Sydney, who bowled first in its match against Sutherland. Middle-order batsman Tom Doyle made his maiden century of the season at Glenn McGrath Oval. He made 129 from 156 deliveries and shared a double century stand with captain Chris Williams (82). The pair added 204 for the fourth wicket. Sutherland are 7/285 after 74.5 overs were bowled on the first Saturday of the two-day fixture. Along with Sangha, UTS North Sydney opening bowler James Campbell returned the second five-wicket haul on Saturday. He picked up 5-59 from 15 overs against Mosman at North Sydney Oval. The Whales were bowled out for 193 and, in reply, the home side is 3/104 at stumps. Sydney Sixers’ batsman Justin Avendano (35 not out) and Adam Crosthwaite (7 not out) are the two unbeaten batters at the crease for North Sydney. Dean Crawford has claimed 2-0 for Mosman. Blacktown opening batsman Anjan Oberai made his first century of the season against St George at Hurstville Oval. He made a pivotal 104 in a total of 238 for the away side. Leg-spinning allrounder for ACT/NSW Country, Tom Engelbrecht (4-52), returned best figures for St George. The hosts are 0/40 in response with Mitchell Gray (27 not out) and Matthew Hopkins (10 not out) both unbeaten. ACT/NSW Country left-arm orthodox spinner Ben Taylor claimed 4-57 to help Bankstown dismiss Western Suburbs for 171 at Pratten Park. Bankstown are 2/73 in response at the close of play. Daniel Solway (22 not out) and Nick Carruthers (21 not out) are the unbeaten batsmen at the crease. In other matches, Parramatta was bowled out for 179 against Northern District at Mark Taylor Oval. In reply, the hosts are 1/57. Western Suburbs 171 (J Abraham 46 A Isherwood 46 B Taylor 4-57 R Williams 2-19 M Waite 2-26) v Bankstown 2-73 (D Solway 22 not out N Carruthers 21 not out B Smith 20) at Pratten Park.